Reporting to you live from the 2017 Florida Heritage Book Festival in slightly sunny St. Augustine! That's right, I've traveled back down south from Savannah to participate in my favorite book event! This marks the third time the event planners have asked me to present, and it is an extreme honor. 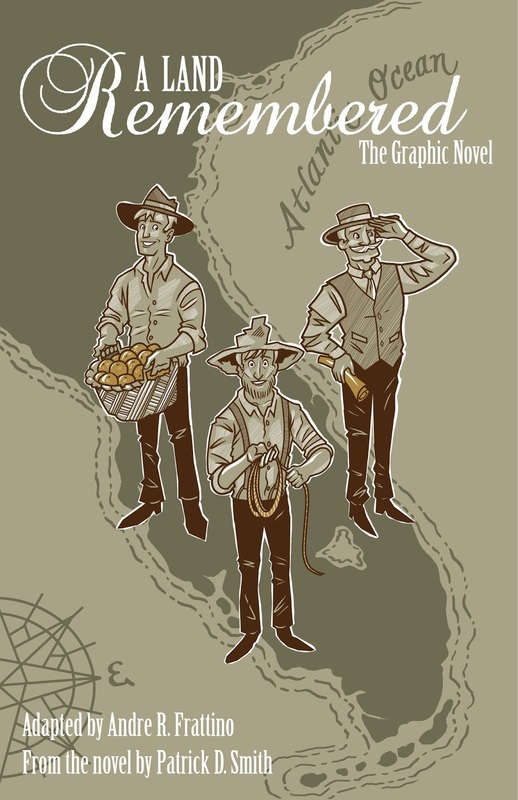 Today I gave a presentation/workshop on the history and production of comics, but tomorrow I'll be presenting at Flagler College, conducting the first ever presentation focused on A Land Remembered: The Graphic Novel. This event, will mark the first public unveiling of the illustrated pages, allowing festival goers to get a sneak peak at the actual pages that will make up the upcoming graphic novel adaptation of Patrick Smith's novel. Speaking of that. I do apologize for not keeping you as up-to-date on the production pipeline. Things have been hectic this Summer. Between traveling to Chicago to participate in the American Library Association Annual Conference, and dodging several major hurricanes, I've been slow to update the blog page. But, despite my idling social media updates, I have been fast at work on completing the graphic novel, and can report that we are less than 3 months away from completing the illustrations. In addition to the interior illustrations, I have been working on cover designs for the book. Below you'll see my initial concept for the cover, as well as the completed design. The team at Pineapple Press has been an immense help on the development of the cover, offering creative feedback and suggestions to make sure that the cover captures the essence of the story. The first cover design was more focused on the three generations of the MacIvey men, set against a rustic, sepia color scheme. The concept was meant to align more with the feel of the cover of the official book, giving it a more "old timey" yet minimalistic design. However, after review, it was decided that since the story focuses on an ensemble of diverse characters, they should be included to help promote the book. More color was also added as to express the vibrance of the story. I'll admit, the feedback and critique I got DRASTICALLY improved the promotional integrity of the cover, and I can't thank the Pineapple Press team enough for their participation in this process. However, for anyone who likes the initial concept design, I've printed 11x17 posters, and will be making them available for purchase at all festivals, conventions and events that I attend. You can also reach out to me at arfstudios@gmail.com, if you're interested in purchasing your own signed copy. For those of you who live close to the Jacksonville/St. Augustine area, stop by at tomorrow's Book Festival and pick up you copy! The event is from 9-4pm at the Flagler College Ringhaver Student Center. Long time, but I haven't been idle. 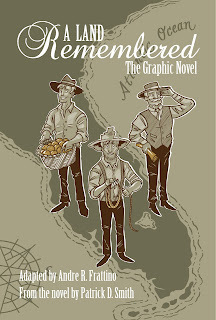 Below, I'm proud to present, the official cover for the upcoming A Land Remembered: Graphic Novel from Pineapple Press! The cover presents the three generations of the MacIvey family, each in their prime, standing over a map of Florida. This has been a long time coming. I wanted to make sure I captured the spirit of the book, while presenting a cover that wasn't so overplayed as a comic book like my Flagler's Few series. 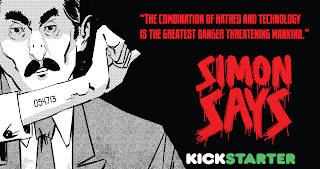 I wanted to appeal to non-comic fan crowd, as my adaptation is meant to not only entice new readers to the Patrick Smith classic, but seasoned fans as well who may never have picked up a book before. If you're a fan of the art, and are interested in learning more about my work on the project, I will be presenting at the upcoming Florida Heritage Book Festival, in St. Augustine on September 23-24th. I'll be discussing the process of adapting the novel, as well as selling a limited print run of the covers on 11x17 mini-poster formats. Hope to see you there! Stay tuned for more! Well hello again fellow pioneers! Just wanted to update you on where we're at, specifically. I'm vacationing in the North Carolina mountains with the wife at a place called Knight's Knoll. It belongs to Enivronmental Scientist, Debra Segal, who I recently worked with as her illustrator on her upcoming book, Idylwild Cowgirls, coming out soon! 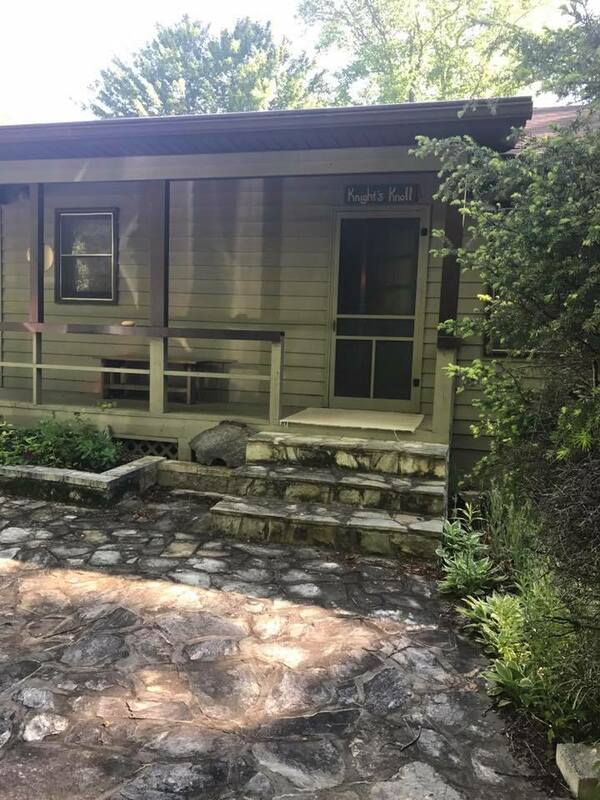 Debra was nice enough to offer my wife and I her cabin to stay at over the Spring. My wife is a huge hiking/outdoor enthusiast, and I knew it would make her happy to get away from the hustle and bustle and commune with nature again. Knight's Knoll is located near Mount Mitchell, which is the tallest mountain east of the Mississippi River! The surrounding area is also host to a series of hiking trails, waterfalls and lakes. As well as being an opprtunity for my wife to cut loose after a grueling semester of DNP schooling, I thought it would provide an opportunity to expand my relationship with nature, becoming a little more fluent in the ways of the wild (as much as staying in a cabin and going down hiking trails can). I also thought it would help me with inspiration for A Land Remembered. 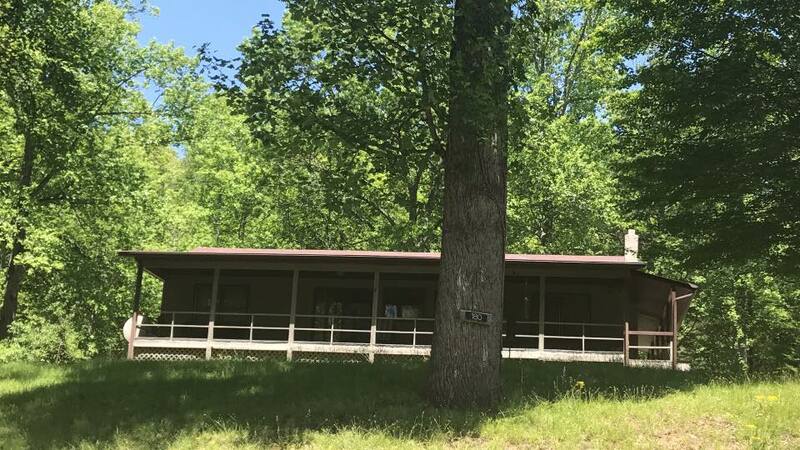 Yes, the Carolina mountains are very different from the flat Florida wilderness, but it's still outside of a city, in the middle of nature, surrounded by forests and wildlife, not much different from the MacIvey's farm in the North Florida wilds. 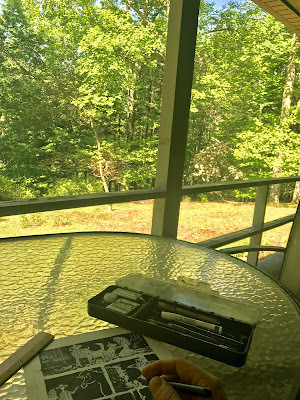 So I packed my art supplies with me, right along with the hiking and camping equipment with all the expectations that I'd dig in and get some real work done. Well, on our first night, it didn't disappoint. One of the best things about being away from the city is the lights. 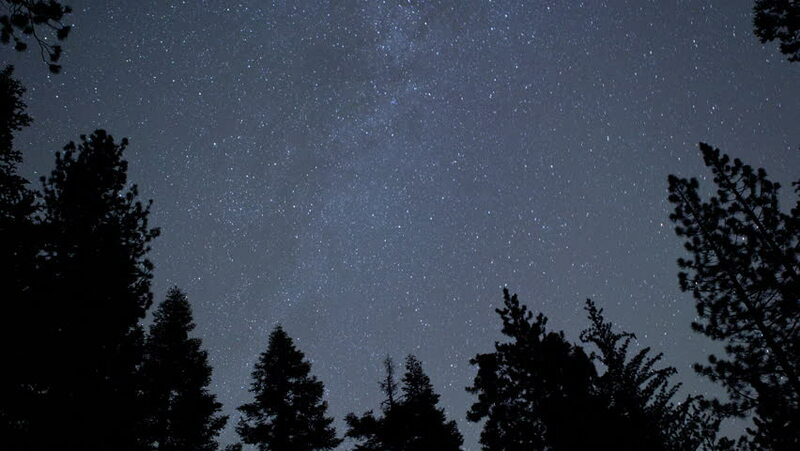 When you're not surrounded by artificial light, you have so much more clarity to see the stars. I remember when visiting Gold Head Branch State Park with the family when I was a kid, my dad would take us outside to roast marshmallows and look at the stars. You could see thousands of them, clear as day! You also get a sense for just how dark it can be in the country without streetlights and buildings. It's a spooky yet beautiful feeling to experience the world around you as it was meant to be seen without all the intrusions of man and his technology, again, a chance to see the world as the MacIvey's may have at the end of a busy day of cattle herding. This experience was especially helpful, as I'm currently working on the pages introducing Glenda, Zech's future wife. In the scene, he offers her a ride on Ishmel, and they take to the Florida woods for a night ride that ends up introducing Zech to the idea of love and companionship. I used the experience of our first evening in the mountains, the quiet, dark, yet enchanting nature of the stars and deep woods to develop the scene below. The low hanging moon, the bright stars and the density of the woods surrounding the couple as they experience their first evening ride together! Check out this time lapse video showing the introduction of Frog, Tobias's rough speaking, heavy drinking farm hand who he finds on the streets of Kissimmee. This is my first time playing with time lapse function on my iPhone, but I think it helps show you the progress a bit more efficiently, for those who don't want to watch the progress over a course of hours. We're in full gear again, so there'll be a lot more material coming your way, including a concept art piece displaying the MacIvey Farm layout! Happy March! Join me today as I take you through the process of creating a finished page from beginning to end. This two part video will show you how I start off with a simple pencil layout and finish with a far more detailed and dynamic ink job. And to demonstrate this, I saved a very special point in the book, the introduction of the MacIvey Clan's first adopted member, Skillit. Skillit is an integral part of A Land Remembered, especially for it's social development in the story. Skillit is a slave-turned-free man who after a series of misfortunate events he stumbles across the good fortune of being welcomed to join the MacIvey family and take part in the cattle herding business. I hope you find this behind-the-scenes walk-thru of my art process interesting. We're 45 pages in, but we still have over 200 more to go! The rides just getting started! 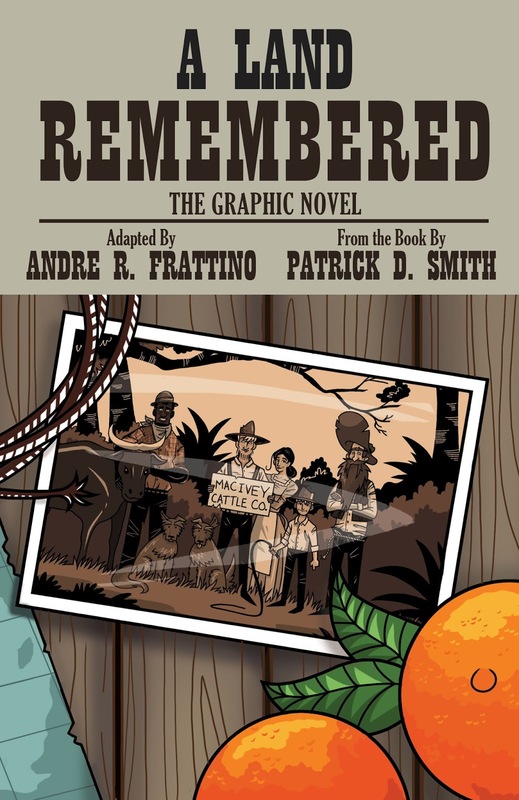 for A Land Remembered: The Graphic Novel. Good news! I ordered a bunch of new tools, supplies and gizmos and they're all in! I purchased a new drafting table stool, this one is called a saddle stool and it looks JUST like a saddle from a horses back, rather fitting, wouldn't you say? My stash of ink brushes and pens are here, as well as all the bristol board I'll need for the book. 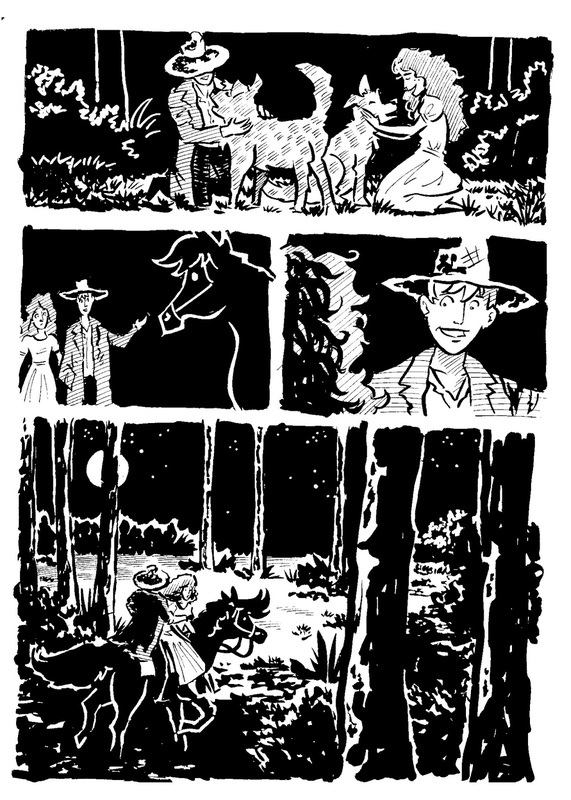 I'm ready to hunker down and start cranking out pages for the long haul. Additionally, I purchased a goose neck mount, which will allow me to hold my iPhone over my drafting board while I work. This means, I can now add videos of me working on the pages to blog (or should I say, vlog?). I'll be utilizing Facebook LIVE as well so that people can tune in and make comments, suggestions and ask questions as we go along! To start it off right, I've posted this video below, catching everyone up to the same level as to where I stand in the process of this book. Tune in below and keep checking in as I update you in real time on the project! Welcome to the A Land Remembered: The Graphic Novel Blog. 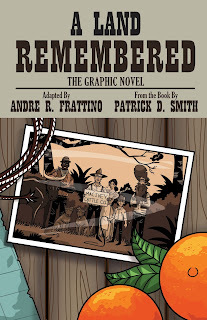 This blog is dedicated to the behind-the-scenes process of Pineapple Press's upcoming graphic novel, adapted from Patrick Smith's award winning novel of the same name. 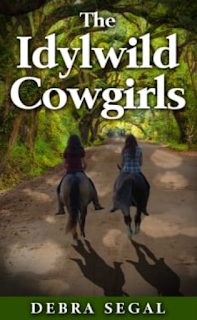 The story follows three generations of the MacIvey family as they pioneer their way through the Sunshine State from the early days of the Civil War to the booming development of Miami in the 1960s. The development of this project is being helmed by Florida-born graphic novelist, Andre R. Frattino. And be sure to check out the official A Land Remembered website by clicking here.